Alternate ROOTS’ members have been tirelessly working to shift culture, affect local policy, advocate for legislative change, and build people power leading up to tomorrow’s highly anticipated midterm election, and beyond. As we gear up to vote, we want to share some of the important work that is being done throughout the ROOTS region and across the country. 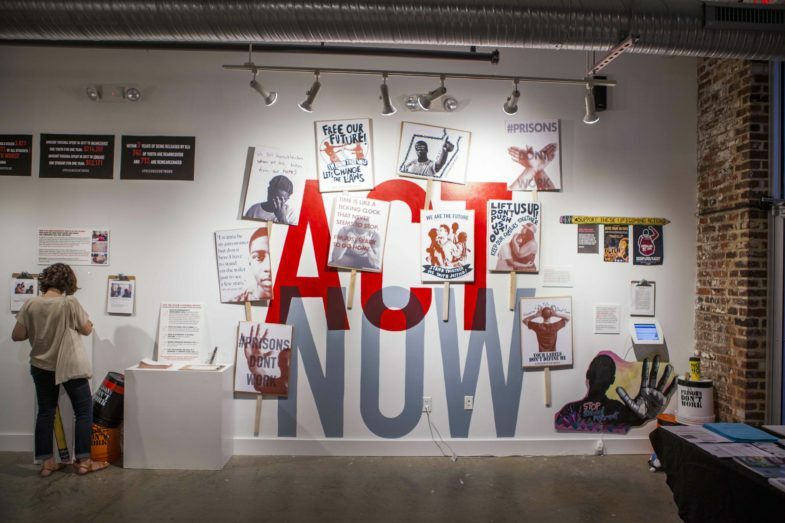 We’re spotlighting five members whose work responds to this historic moment and connects with one another through the themes of intergenerational organizing, fighting voter suppression, uprooting historic injustice, and pushing for community power. Areas where ROOTS has concentrated energy and resources over the past few years – places like Florida, Texas, Virginia, Louisiana, and Mississippi – show up especially strong. ROOTS’ members will be out in force tomorrow, using art to drive political change, monitoring the polls, supporting candidates, and building power. Members have been working with our partners at Southern Movement Assembly, who led organizing intensives in places like Florida, to let people know about the ballot proposition that could restore voting rights to some 1.4 million residents who have been barred due to a past criminal conviction. In Louisiana, they have been spreading the word about the ballot proposition to amend the state constitution and establish unanimous juries. 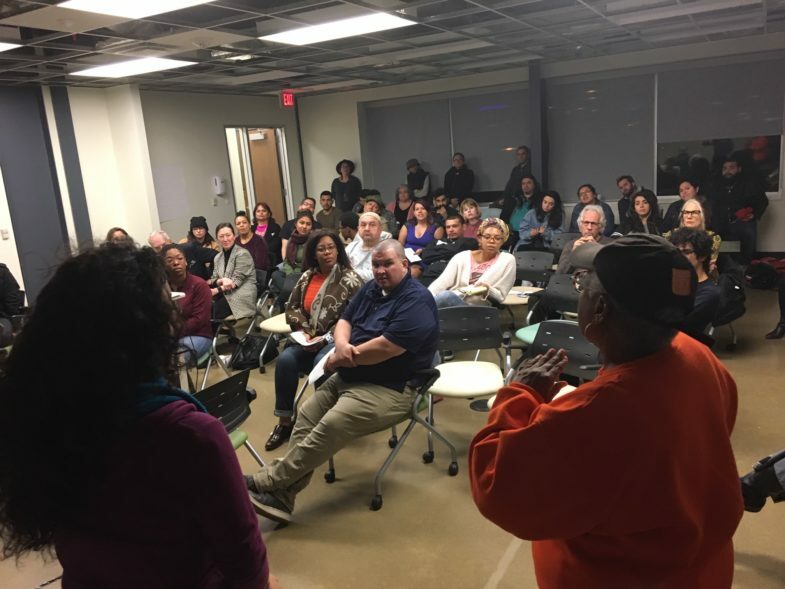 As long-time, and first-time, ROOTers Vicki Meek and Pedro Estrada showed us at ROOTS Week, the DallasEquity project is building political power with youth of color and their allies in Texas. Trey Hartt and Mark Strandquist at Art 180’s Performing Statistics project are likewise centering youth in driving political change in Richmond, VA. This year, fellow ROOTS ally Jeree Thomas, now at the Campaign for Youth Justice, teamed up with Performing Statistics on the 10th Anniversary Youth Justice Action Month campaign #VoteYouthJustice. Meanwhile, Tomiko Shine and Busi Peters-Maughan have been focusing on our elders with the Aging People in Prison Human Rights Campaign and Women Healing and Empowering Women (WHEW), respectively. As Busi notes below, WHEW has partnered with Black Futures Lab on the Black Census national survey to help identify and focus on the issues that most affect Black people. After the election, ROOTers will come together for ROOTS Weekend: Jackson in Mississippi, at the end of the week to continue digging into what it looks like to build a true people’s democracy. If you’re able to join us in Jackson and Utica, be sure and check out “In the Tradition” poetry and politics workshop with Charlie R. Braxton, “People Powered Public Planning” with Melody Moody Thortis, “Restoration to Renewal” with Dolfinette Martin, “Curious Citizens” with daniel johnson, and so much more. You’ll find the full schedule and link to sliding scale tickets are available on our website. With the help of a grant from Alternate ROOTS in 2016, I was able to launch Dallasartsequity.com with a webinar series aimed at educating Dallas millennials of color and their allies about gaining political power. This initiative led to our running our first City Council candidate Giovanni Valderas. I am now a part of his strategic planning team as is Pedro Estrada, one of my DallasEquity.com mentees and our Teen Organizer. In addition to running Giovanni for the City Council, I am working to train a cadre of millennials to serve on the myriad of boards and commissions Giovanni will be appointing citizens to. There are also several other candidates who, although not trained in my project, are progressive, so DallasEquity.com participants will also be volunteering in their campaigns. You can check out their “Taking Back Our City 101: Organizing for Political Power” video here. How would juvenile justice reform differ if it were led by currently incarcerated youth? That’s the question that sparked Performing Statistics, a four-year old project based in Richmond, Virginia through ART 180 that connects incarcerated youth with artists, legal experts, and advocates to dismantle the school-to-prison pipeline. Performing Statistics was a 2014-15 Partners in Action project. As an arts-based project with strong youth development principles, it’s intriguing that our catalytic question has nothing to do with art. But as cultural organizers and social practice artists, we understand that art is the vehicle to bring stories in proximity to the decision-makers upholding oppressive and harmful policies. Youth in the system, and their families, have historically been absent from conversations on policies that affect them. Performing Statistics seeks to disrupt that dynamic. Revise the Memorandum of Understanding between Richmond Police Department and Richmond Public Schools to reflect a) more defined roles, b) better training, c) stronger data collection, and d) community involvement. Revise the student code of conduct with student and family involvement. Invest in alternatives to in-school discipline rather than suspensions and expulsions. Increase funding for school support staff, i.e., counselors, psychologists, social workers, and nurses. Close all youth prisons and invest in a continuum of community-based care. There are a variety of actions our project supports to both organize communities and target decision-makers. Voting is an essential component to a strong policy change strategy. And the work in between to hold our elected officials accountable is as well. You can learn more about the project at www.performingstatistics.org or follow us on Facebook. Every October, the Campaign for Youth Justice celebrates Youth Justice Action Month (YJAM) to raise awareness and spark action around youth justice, particularly the treatment of youth under 18 as adults in the criminal legal system. This October is the 10th Anniversary of YJAM, and our theme is #VoteYouthJustice. Throughout 2018, we’vehighlighted and encouraged voting in primaries across the country. We created aguide for advocates who want to hold candidates accountable on their youth justice positions, and just recently created aNational Vote Youth Justice Petition to provide a framework of the youth justice issues we need to push collectively to effect positive change. 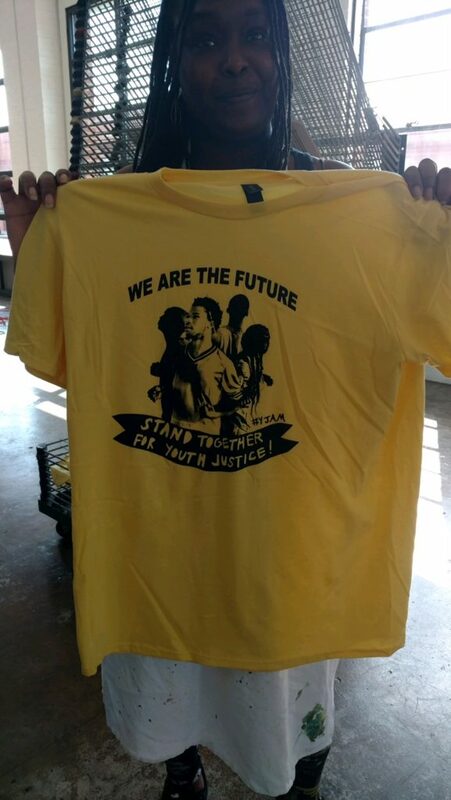 CFYJ also partnered with ART 180’s Performing Statistics Project to have youth create the official 10-year anniversary YJAM t-shirt which is available to directly impacted youth and families who sign up to host, assist, or present at Youth Justice Action Month events in their communities. We hope everyone will #VoteYouthJustice tomorrow! Aging People in Prison Human Rights Campaign advocates, educates, and lobbies for the release of aging women and men in prison. These men and women have served 20, 30, 40, 50, and even 60 years in prisons due to the under use of release mechanisms such as parole, clemency, and compassionate release. Thus APP-HRC is engaging in a local and national political and policy based campaign to remove factors that delay or deny the parole process for these aging people in prison. For this year’s local, state, and national elections APP-HRC is building a campaign to remove the governor from the parole process and create a civilian/community base parole board. Women Healing & Empowering Women (WHEW) is a nonprofit organization with a local and global focus, incorporated in 2005 based in Houston, Texas. It has worked as a grassroots initiative addressing domestic violence, homelessness, and reentry programs for women with a focus on issues affecting those of melanoid/Indigenous descent. 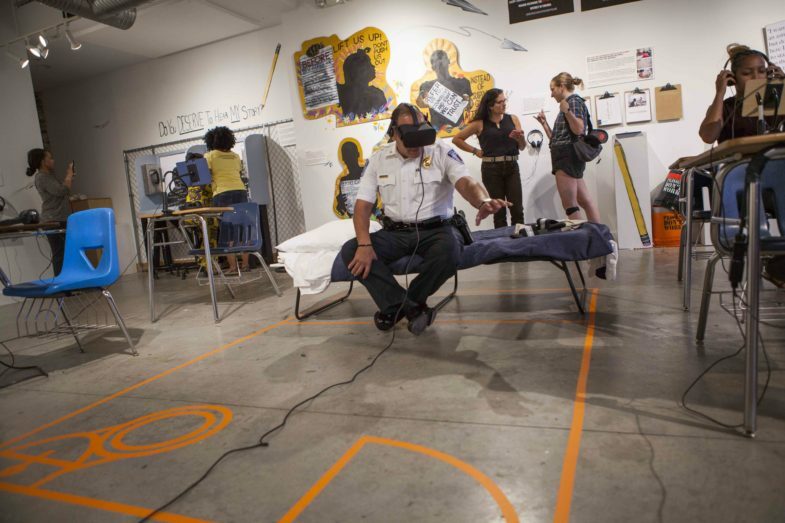 Presently, we are excited to announce that WHEW is partnering with Black Futures Lab’s Black Census Project, a program of Black Lives Matter. It is the first time in 150 years that a survey was designed by us for us (BUFU). So please help WHEW reach our goal of 1,000 surveys by clicking on THIS LINK. It will help folks to focus on the REAL issues for Midterm Elections. Your support is greatly appreciated!